Our programs ensure efficiency is built into new construction projects. 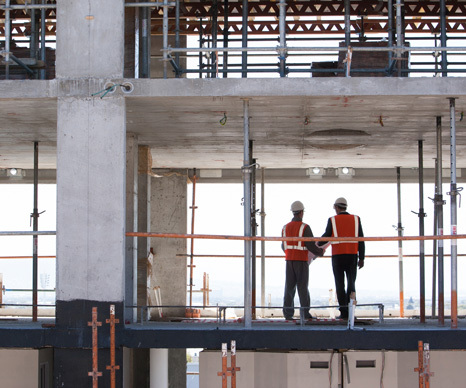 New construction is on the rise across the country, and every new building presents a great opportunity to establish a foundation for long-term energy savings. Through our programs, participating utilities can position themselves as providers of value-added services to those designing, building and occupying these spaces. Today’s buildings can operate anywhere from 30 to 100 years, and we want to make sure more buildings are designed for the longer end of the spectrum. The best way to do that is to carefully consider energy efficiency and sustainability from the beginning. When energy-efficient equipment and features are factored into the early stages of design, the building is far more likely to reach its energy goals and provide superior long-term operational performance and savings. Our programs have been helping commercial customers build better for years, offering incentives, technical support and other resources to bring energy savings into new spaces and renovations. Owners and tenants enjoy the benefits of lower operating costs, better equipment performance, greater comfort, and the prestige of an energy-efficient building with a positive environmental impact. Other key contributors to these projects, such as architects, designers and engineering firms, also benefit. What makes our programs really stand out is our comprehensive approach. We have solutions for businesses and projects both large and small. We provide outreach teams, engineering support, energy modeling and other invaluable resources to help our customers reach their goals, from meeting energy codes, to LEED certification, to the peak of efficiency with net-zero energy use. One of our standout new construction programs in the Midwest has far exceeded program goals by completing 196 projects and saving more than 43 GWh.